Collection of the best WordPress themes designed for gadgets or technology blogs. Without a doubt, TechMag theme is created for gadget and technology websites. With the beautiful line of framed grid modules, the ability to add ratings and elegant slider, all this will leave your blog very serious impression. 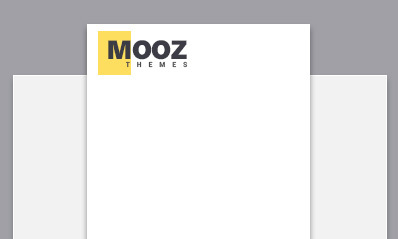 This is one of the features the richest themes. You might add videos, photos, reviews, as well as Gallery. Thanks to "one click install", you might build a technology blog within a couple of minutes. If I were to create a technology or gadgets blog, then I would choose the TechMag. Land is another graphically outstanding blog theme with a clean and responsive design ideal for Gadget, Technology, and Gear. The theme comes with perfect design and clean layout which will help your website to stand out. Land WordPress blog theme is entirely responsive, easy to set up and customize is packed with WooCommerce plugin. With the innovative WooCommerce plugin, an elegant online shop can be created, without any additional expenses. You can choose from a lot of colors so that you can find the right one that works best for your design needs. Also, if you are tired of them you can change the colors whenever you want to freshen up your site. Land is featured with mega menu drop-down or expanding menus that allow visitors to reach most pages no matter where they are. Due to its visual oriented interface and countless options, Land is suited for beginners and pro’s alike. Choose from a list of some good-looking fonts supplied via Google Fonts. The land is packed with documentation file you can build your blog fast and simple. It is our interpretation of how an elegant technology blog should look like. Dens is a stylish responsive Technology and Gadgets WordPress blog theme with sleek typography, sufficient white space and lots of features. Dens theme is 100% responsive, and your web page will adapt to displays on all types of devices. This theme is compatible with Contact Form 7, the most popular WordPress Contact Form plugin. Customize the look and feel of your website by customizing the color scheme of theme. Your website will be modern and responsive, thanks to Bootstrap framework providing flexible responses, smooth transitions, and animations that look awesome on mobile and desktop devices, across all platforms and browsers. It also features custom widgets that let you incorporate useful elements on your website. The admin panel allows you to build a cheap drones with camera website that matches your style and vision. Overall, Dens is an innovative theme with clear typography and stylish design, perfect for new WordPress users. If you need to present your Technology, Gadget and Gear content professionally and cleanly then you need to use Darina! This WordPress blog theme is a modern, light, clean design and stylish. Darina theme is 100% responsive design for a layout that works perfectly on all devices – from desktop to mobile. Decent space for advertisements will help you improve your conversion rate, and earn more money. This theme comes with a lot of components for the versatile Visual Composer plugin, which enables you to drag-and-drop website modules or create your designs and build a unique professional look website. Change the colors for buttons and menus to fit your style. Darina uses Twitter Bootstrap. All uploaded images are automatically resized – no plugin necessary. There are hundreds Google fonts to choose from to outfit your website style and brand. Darina is packed with extensive documentation is all that you need to turn a beginner into an expert. Overall, Darina is a modern theme with sleek typography and stylish design, perfect for creative and modern Tech bloggers. Medym is a creative technology blog theme designed with creativity and a minimalist approach. Medym theme is 100% responsive, it adapts automatically to different screen sizes, irrespective of which mobile or desktop device your site visitor use. Every content and layout element has been optimized to look great everywhere. The theme is made with flexible layout and proper space for advertisements. Medym is fully suitable for WPML. This theme is sold with lots of components when it comes to powerful Visual Composer plugin, which lets you drag-and-drop website modules or makes your designs and builds a distinctive professional look website. With a number of 6 different custom homepage layouts you have many selections in customization and put up any layouts you can imagine. Or just it is possible to show your creation by mixing between all home page layouts to have an individual layout for your own website. 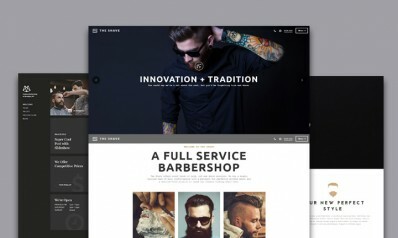 Bone is another graphically outstanding WordPress blog theme with a light and responsive design. It comes with a visually stunning designed layout which is suitable for a Technology, Gadgets and Gear blog. Bone WordPress theme is 100% responsive and retina ready. The theme is WPML compatible, and every line can be translated into a different language, this helps you attract a larger audience. Bone theme comes with the modern Visual Composer plugin, which enables you to drag-and-drop website modules or creates your designs and builds a unique professional look website. It also features custom widgets that let you incorporate useful elements on your website. Bone blog theme is optimized for search engines, increase your chances of getting noticed by potential visitors. The theme comes with support for Google fonts. In the themes admin panel, you can easily customize the font family and size. Bone simple design focuses on your content and is ideal for an elegant gadget blog. Soledad is a light technology blog/magazine theme built with creativity and a minimalist approach. Soledad is very popular theme with more than 1850+ sales. Soledad WordPress theme is quite responsive to all devices, retina ready, entirely compatible with WPML plugin, easy to set up and customize. The theme is packed with WooCommerce plugin and coded with the latest HTML5 and CSS code. Decent space for advertisements will help you improve your conversion rate, and earn more money. The premium Revolution Slider is included in the theme to make creating slides really fast. Theme comes with flexible WooCommerce integration, which means that you can sell your products and other crafts with ease. The theme is translation ready, and you can translate your website to your language. Thanks to the innovative Visual Composer, the layout of the page is fully within your control.Included super flexible form generator plugin contact form 7 allows you to build user-friendly and intuitive contact forms. If you want to change the default Soledad colors, you can very easily change those using the color picker in the premium theme options. With Soledad theme, you will control every element of your site. Apart from that you can enjoy many different home page layouts and trust me it’s hard to decide which to choose. What’s more, the theme comes with 600+ google fonts. Soledad blog/magazine WordPress theme is search engine optimized and ready to handle any website type and with extensive documentation is all that you need to turn a beginner into an expert. Themes stylish design focuses on your content and is ideal for a simple technology site. Light, a creative and elegant theme for technology, gadget and gear bloggers, to show your posts in an innovative and minimalist way. Piemont WordPress theme is retina ready, is packed with WooCommerce plugin. Your website visitors will be able to contact you, as Piemont has incorporated the popular Contact Form 7 plugin. Theme comes with a color picker so you can quickly and easily change primary and secondary colors. You can choose from 5 homepage layouts and find the best one to share your vision. Piemont WordPress blog theme is search engine and speed optimized, eager to serve your website and with detailed documentation ensures that your site will be up and running soon after purchasing the theme. It is a prevalent premium theme among the ThemeForest marketplace, and it has more than 800+ customers. Piemont stylish design focuses on your content and is perfect for an elegant technology and gadget blog. Masala is minimalist, simple and good looking WordPress blog theme, perfectly suited for gadgets, technology, and other publishers. Masala has a flexible design that gives plenty of room to your content. Masala’s themes layout is entirely responsive, capable of displaying content on tablets, smart phones, and desktop computers. The theme is fully compatible with WPML and comes with .po & .mo files, just translate the included language file. Masala is a simple theme with clear typography and elegant design, ideal for new WordPress users. Infra is a right choice for almost any type of technology-related website. 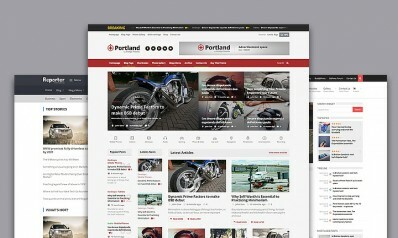 The theme is completely responsive, retina ready, ultra compatible with WPML plugin. Thanks to the great Visual Composer, the layout of the page is fully within your control. Encourage your readers by using Infra’s mega menu, let your visitors explore your website content efficiently. This theme is based on latest Twitter bootstrap framework. One-click homepage layout importer – easiest and fastest way to build your website fast and easy. With Infra you can easily create your technology and gadget blog without any coding skills. Choose from a list of some beautiful fonts supplied via Google Fonts. Infra blog WordPress theme is with optimized code for both speed and search engines and with extensive documentation is all that you need to turn a beginner into an expert. It is our interpretation of how an elegant technology blog should look like. Webly is a polished, versatile and light theme which is suitable for gadgets, technology, and other publishers. With it’s perfect look full of trendy design styles and features you can definitely rock on the internet. This theme is 100% responsive and well documented. It adapts automatically to different screen sizes, no matter which mobile or desktop device your website visitor use. Every content and layout element has been optimized to look great everywhere. 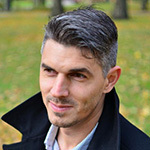 The WPBakery’s Visual Composer offers powerful customization options, as an even beginner can design a unique website. With Webly you can easily create your technology blog without any coding skills. Webly blog theme is search engine and speed optimized, eager to serve your website. It is our interpretation of how a minimalist technology blog should look like. Louis is a clean WordPress theme and is an excellent choice for gadgets, technology as well as other publishers. It’s very flexible theme also it lets you run a lot of different useful features and functionalities. Louis comes with tons of features, such as – 4 post formats, sticky sidebar, child template support, theme options easily customized by Native WordPress Customize a much more useful in this fantastic theme. Louis is WPML certificated, offering multilingual support for all its customers. The theme was constructed with customization in mind and provides the ability to configure your internet site without ever touching code. Your site visitors will be able to contact you, as Louis has incorporated the most popular contact page 7 plugin. Louis has been made with an absolute focus on detail. Within you will discover 3 beautifully engineered homepage styles to give you up and running quickly, without any coding to complete. Louis polished design centers on your articles, and it is perfect for a stylish technology site. Meed is a versatile, elegant and modern WordPress theme, perfect for gadgets, technology blog to show their posts. 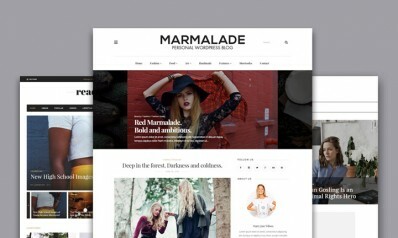 The theme is very flexible, and it has all modern features you need for your website. It comes with useful features and a couple of premium plugins and sliders, such as – WordPress menu support, blog page template, sticky menu on/off switch, custom CSS box. Meed theme has been designed from the ground up with translation in mind. It comes pre-packaged with a .po file containing all of the theme’s text strings, ready for translation. Theme is compatible with Contact Form 7, the most popular WordPress Contact Form plugin. It’s very flexible, and it has all modern features you need for your website. You can personalize your theme by choosing among the 2 unique homepage layouts and choose the perfect design that represents your brand and identity. Theme is intuitive and friendly for beginners, but it also allows professional users to create some amazing stuff. Read & Digest is a beautiful responsive blog/magazine theme with polished typography, sufficient white space and lots of features. This theme can be used for technology, gadget and gear website. Read & Digest WordPress theme is totally responsive, retina ready, totally compatible with WPML plugin, is packed with WooCommerce plugin and built on a reliable and secure HTML5 & CSS3 code. Read & Digest theme is entirely responsive, your web page will adapt to displays on all types of devices. With the flexible WooCommerce plugin, an elegant online shop can be created, without any additional expenses. 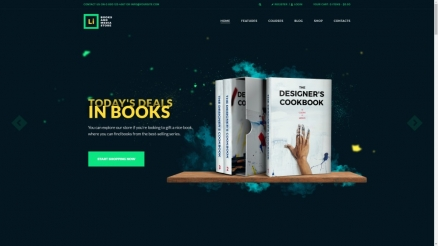 Thanks to the versatile Visual Composer, the layout of the page is fully within your control. A widget-based Contact Form 7 plugin is a user-friendly way to create contact forms that stand out. One-click homepage layout importer – easiest and fastest way to build your website quick and easy. With Read & Digest you can easily create your technology without any coding skills. It comes in 14 different demos and home page concepts. There are hundreds of Google fonts to choose from to outfit your website. It is our interpretation of how a clean technology blog should look like. Minimalist WordPress blog theme which is good for gadgets, a technology blog focused on their content. The blogic theme is responsive design for a layout that works perfectly on all devices – from desktop to mobile. No more language barrier, the theme is compatible with WPML Plugin, which helps you to translate your site into whatever language you prefer. Theme is packed with a drag and drop backend-frontend impressive Visual Composer plugin that give you complete control of your page layouts and allows you to create pages for your website within minutes. A widget-based Contact Form 7 plugin is a user-friendly way to create contact forms that stand out. With Blogic theme, you will control every element of your site. You can choose from 2 homepage layouts and find the best one to share your vision.It is our interpretation of how a bright technology blog should look like. Selfie is a seriously WordPress theme and is a solid choice for gadgets, a technology blog focused on their posts. The Selfie offers a large number of advanced features to present your brand in the best possible way. Selfie theme is fully responsive, retina ready, entirely compatible with WPML plugin. Compatible with the WPML plugin, making it possible to switch between multiple languages on your site. Theme is the most seamless and minimalist integration of Twitter Bootstrap Framework give a beautiful theme. It also features custom widgets that let you incorporate useful elements on your website. With a variety of 2 different custom homepage layouts you have many selections in customization and set up any layouts you can imagine. Or simply you can show your creation by mixing between all home page layouts to get a personal layout for your own website. Choose from a list of some good-looking fonts supplied via Google Fonts. The theme has an advanced control panel which will help you develop a lot faster. If you’re either a professional technology industry representative or an amateur, this light blog WordPress theme could be all that you need.